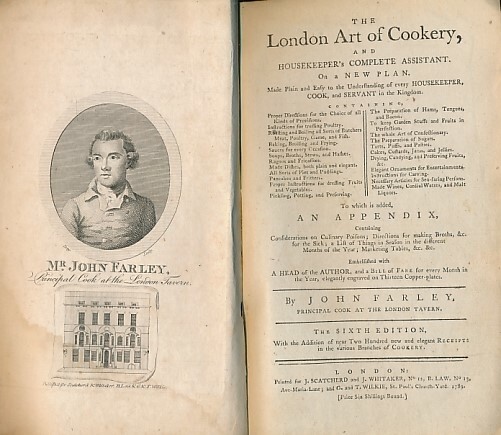 Barter Books : Farley, John : The London Art of Cookery, and Housekeeper's Complete Assitant. On a New Plan. London. : J Scratcherd & J Whutaker, etc. 300 x 210 mm (12 x 8 inches) - [xxxii], 455pp + plates. G : in Good condition without dust jacket. Cover rubbed and rebacked. Some foxing and marks.